With Emperador stone accents, this dining side chair brings a little luxury to any dining occasion. Clean lines and a simple silhouette give the chair a distinctly modern look. 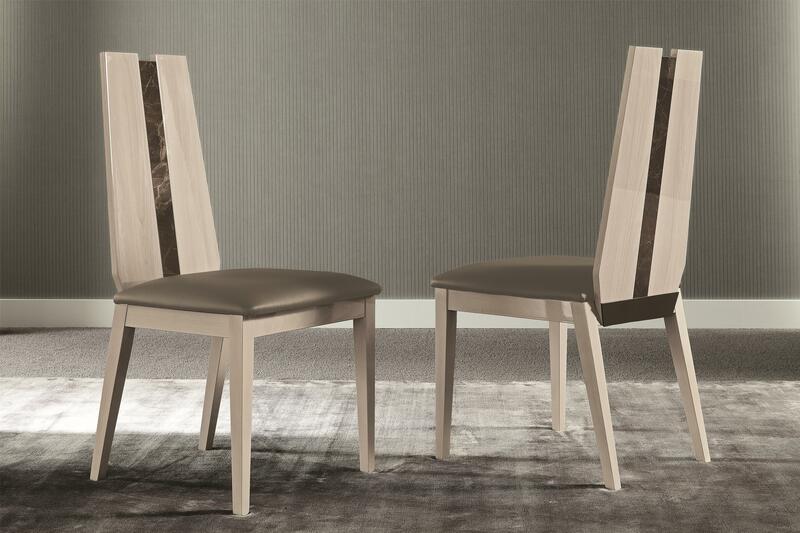 Inset emperador stone in the chair back adds rich contrast to the light elm eco veneers, with a high gloss finish over both tying the look together. The Teodora Dining Side Chair by Alf Italia at HomeWorld Furniture in the Hawaii, Oahu, Hilo, Kona, Maui area. Product availability may vary. Contact us for the most current availability on this product.